I used to sit across the table from Jane in a Starbucks with my Bible learning these things. Nowadays, my discipleship comes in the form of three little ones demanding my time & attention, stripping away any last shred of patience and the will to act like I have it together. When my kids are throwing temper tantrums in public or I’m covered (literally covered) in poop, it seems impossible that I could have any pride left. And yet, there it is again. So I am mindful that my children and current circumstances have become my teachers and disciplers. And while the lessons have become more humbling and exposing, I see it as a good thing. Instead of allowing myself to be crushed under the standards of trying to be that perfect mom, I drink deeply and daily of the grace of God. Believe me, I need it. 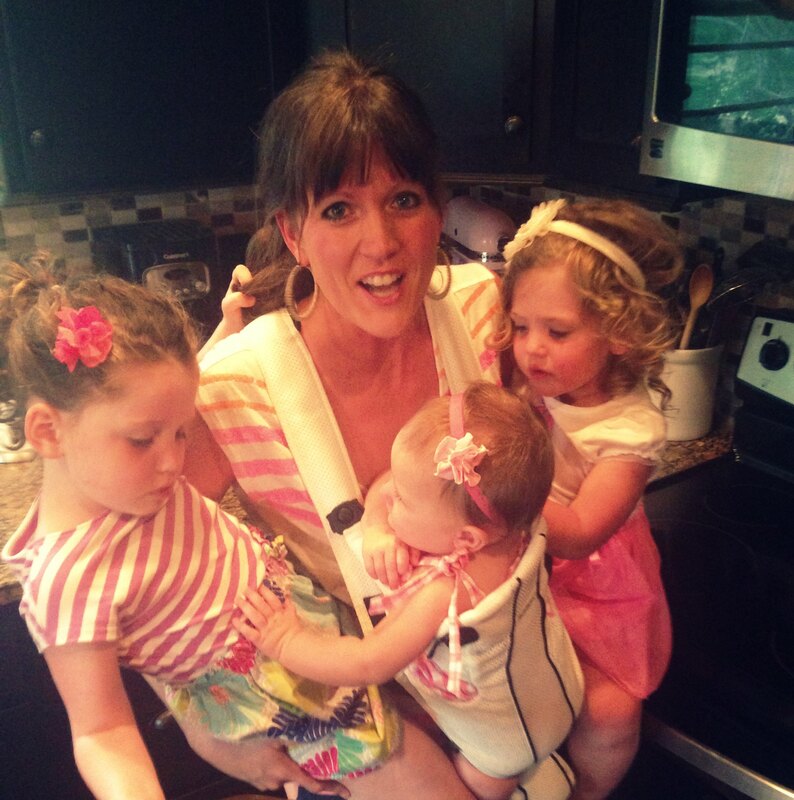 Me holding my little teachers/ disciplers. As my kids grow and become more aware of my flaws, I don’t feel the pressure to try to hide or defend my shortcomings. I say to them, “There’s only one Jesus and I’m not Him. I need Him just as much as you do and all the rest of us.” Rejecting the urge to self-defend or self-deny, I put myself in a vulnerable place. A place where I must refuse the Momguilt and at the risk of repeating myself- embrace the grace. What’s a lesson you’ve learned from caring for a little one?